Vanessa Vander Valk is the host of Shift on CBC Radio One in New Brunswick. 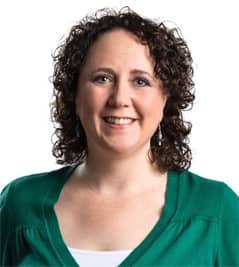 After earning her Bachelor of Journalism degree from King's College in 2001, Vanessa kicked off her career with CBC in Saint John, working as an associate producer on Information Morning. She's also worked as a reporter in Whitehorse, as the producer of the noon show in the Northwest Territories and as a newsreader back in Saint John. She has filled in as host of Northwind, Trail's End and the Gwich'in language show in the past, despite not being able to speak Gwich'in! Vanessa grew up in the Calgary area. She also spent time in Canmore, Victoria and Venezuela. She has two dogs and spends much of her spare time throwing sticks and walking the trails. Radio One Weekdays 4:00 - 6:00 p.m.